After what feels like dozens of hot nights in our apartment, it finally cooled down enough this week that turning on the oven was an option. Getting back into the kitchen was such a good re-charge for me this week, especially with all of the amazing seasonal produce available to play with! I needed some comfort food after a long weekend of partying it up at a friend’s wedding so I went with a pasta dish — something quick and simple. 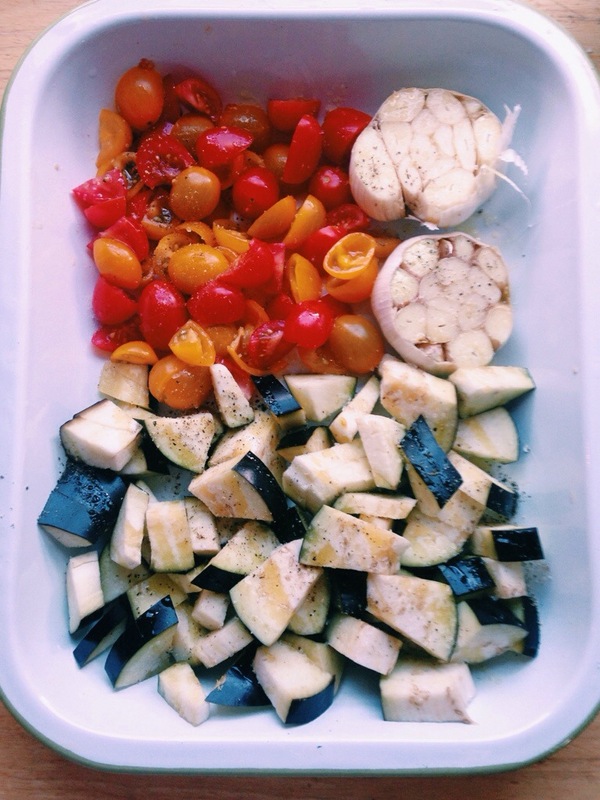 I roasted a small eggplant, a container of quartered grape tomatoes, and two heads of garlic with some EVOO and salt and pepper at 425 degrees for 25 minutes. While that cooked, I made angel hair pasta and tossed it with half a lemon’s juice, torn basil leaves, about a tablespoon each of olive oil and butter, and some parmesan cheese. 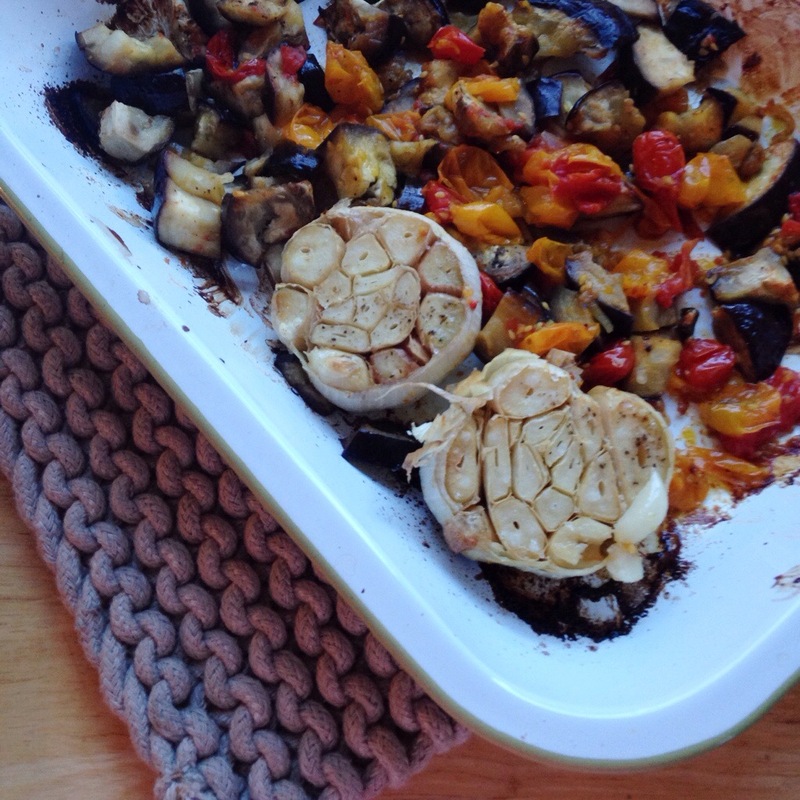 Once the vegetable mixture was well roasted, I pulled the cloves out of the garlic heads and smash them up with the tomatoes and eggplant, and tossed all of the ingredients together with the pasta and a few tablespoons of reserved pasta water. 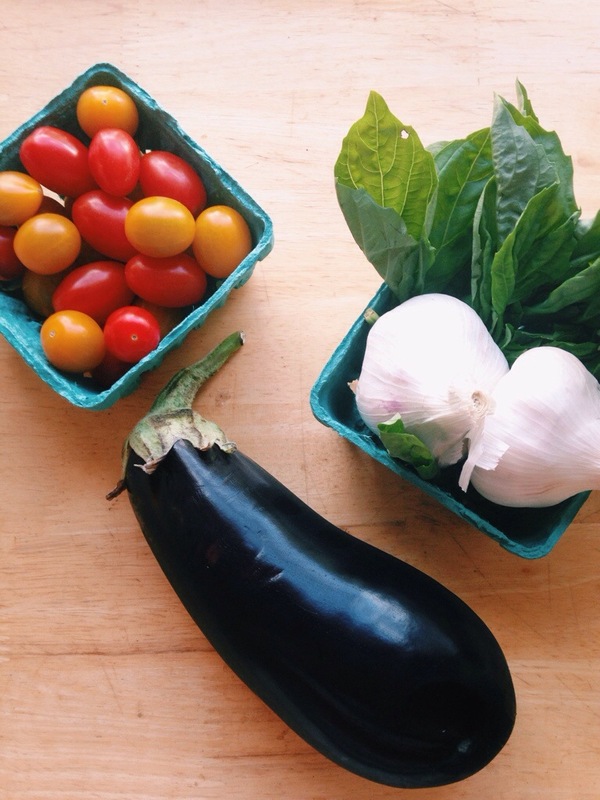 It totally hit the spot — the roasted garlic infused the eggplant and tomatoes with so much flavor, and all of the ingredients came together for a fresh but hearty meal. Blood Orange Buzz. Scenes from the weekend. 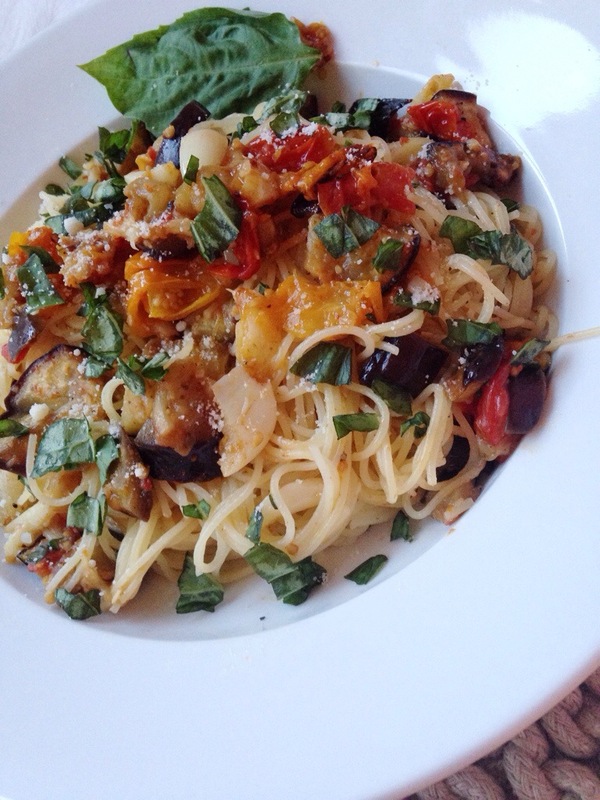 4 Responses to "Roasted Tomato Eggplant Pasta." You had me at roasted garlic. 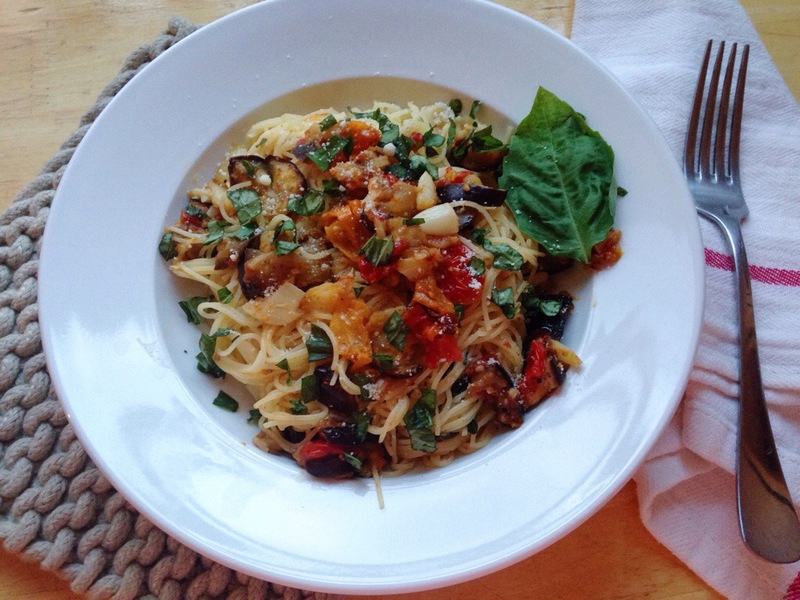 I stumbled upon this recipe after following you on insta. It was delicious! My husband loved it and it was so easy. 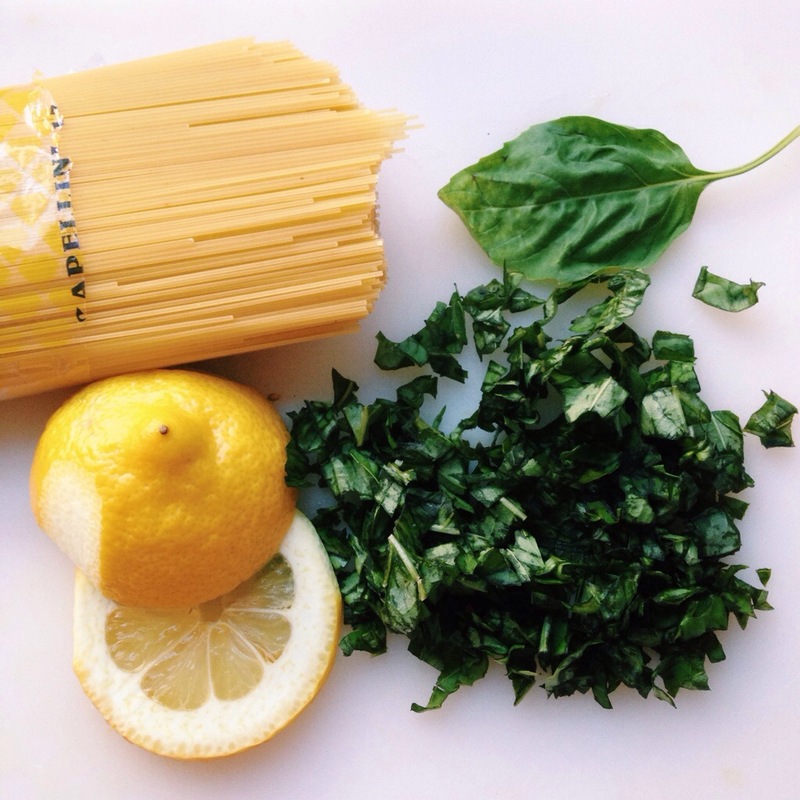 Love the addition of lemon juice, EVOO and butter to the pasta.